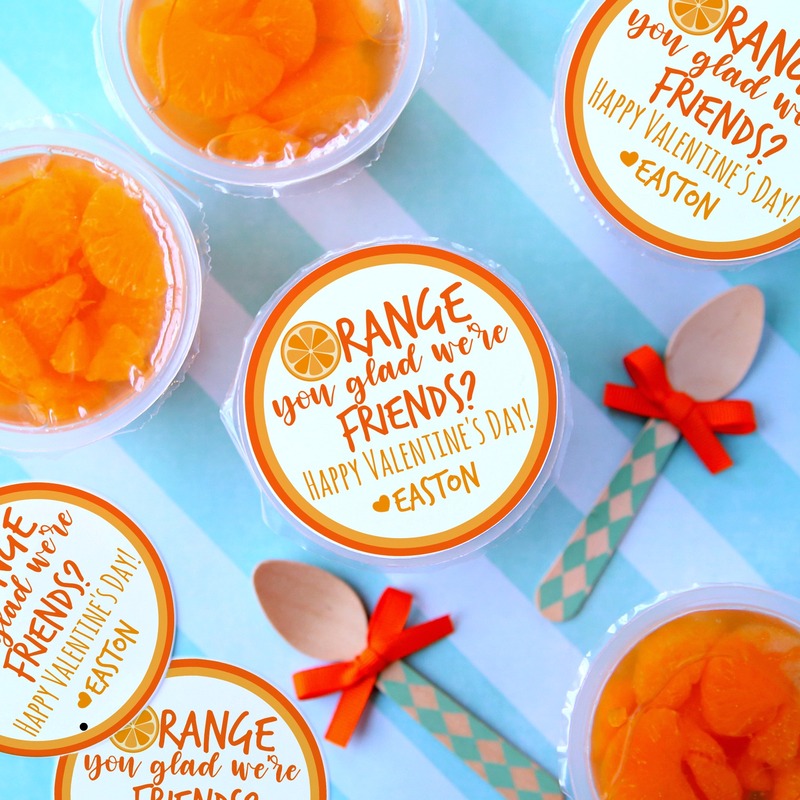 Add these adorable Orange You Glad We’re Friends Valentine’s Day printable tags to cups of mandarin oranges for the perfect non-candy Valentine treat! Easton’s class is having their annual Valentine’s Day party and I wanted to give all his friends something that I knew they would love but I didn’t want it to be candy. Now, don’t get me wrong – I’m not against candy because I am that mom that gives Easton a lollipop at 10 am while grocery shopping so he doesn’t jump out of the cart. 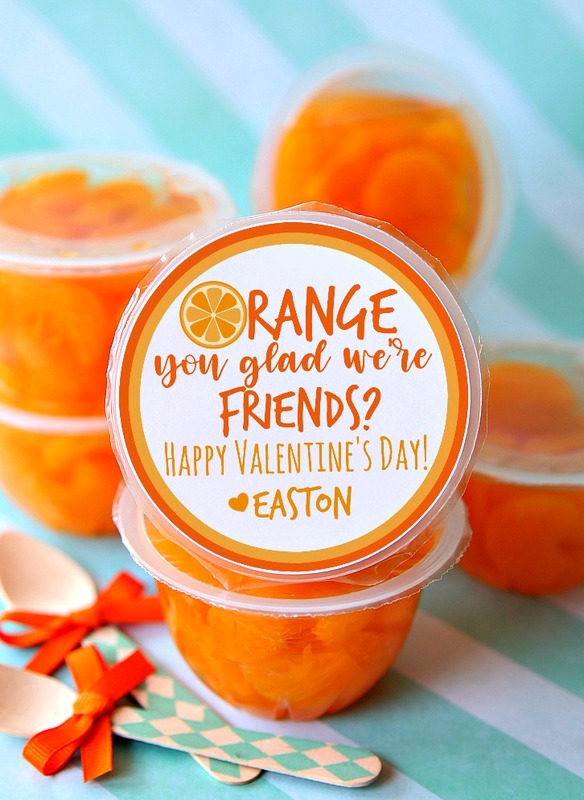 But, I know that all the kids are going to get enough candy during the party so I thought it would be fun to give out cups of oranges with these adorable little gift tags taped to the top. Aren’t they the cutest! I love the way these little Valentine treats turned out and I’m so excited to share this fun printable with you. Connor has even asked me to make them for his 5th grade class party. Want to make these for you’re child’s class party? All you need to do is print out the printable gift tags and use double sides tape to adhere them to cups of mandarin oranges. 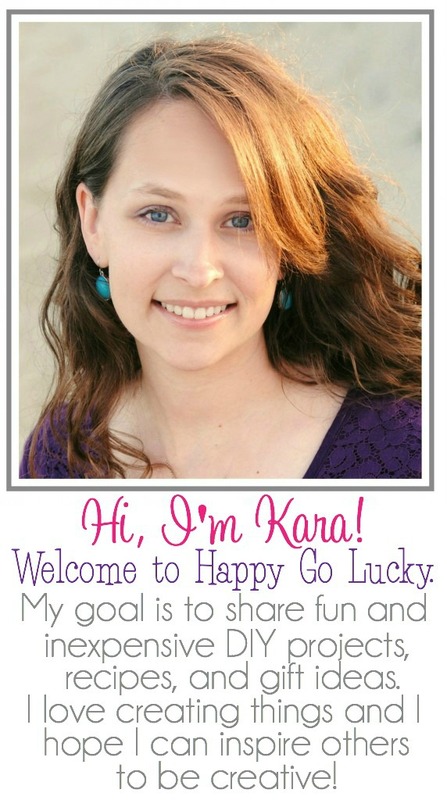 Each printable comes with 8 tags on one page. I do recommend printing the tags on white cardstock instead of printer paper. And, guess what? 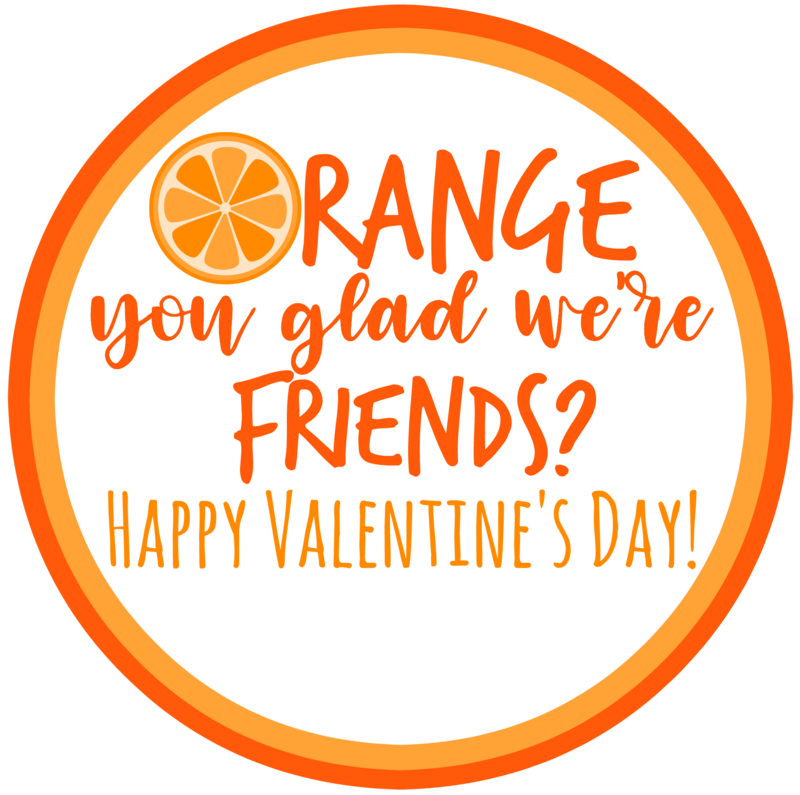 These Valentine gift tags can be added to anything orange – cuties, Reese’s peanut butter cups, orange lollipops, etc. Want more fabulous Valentine’s Day freebies and gift ideas?